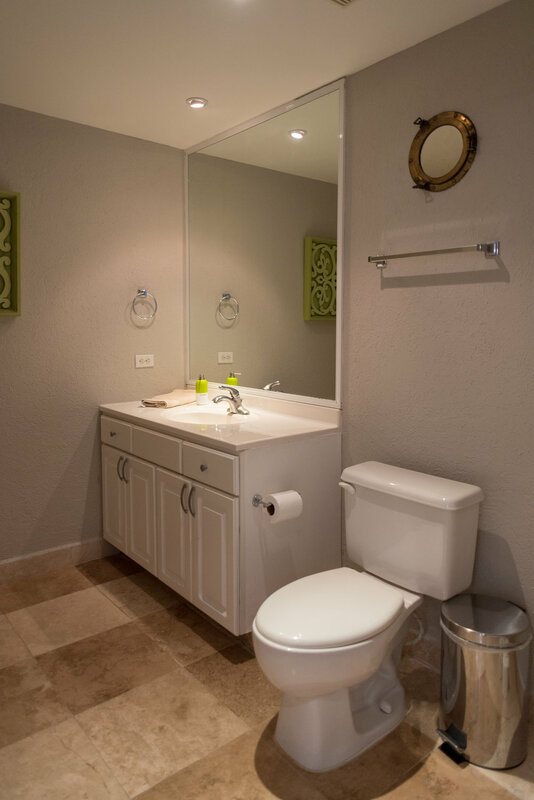 Spacious, luxurious and a touch above…Condo Blossom at Palmas Reales 1C is located on the North side of Cozumel, across from the golf course and just two miles from town, where you can find the best restaurants and shopping. 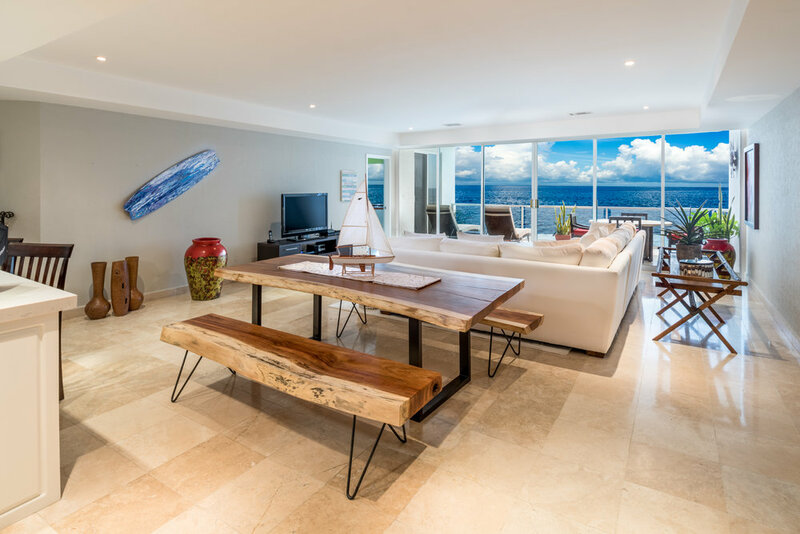 It is one of the largest three-bedroom condos on the island, with a beautiful balcony over looking the ocean and three spacious bedrooms, all with their own large, private bathrooms. The condo is located perfectly. 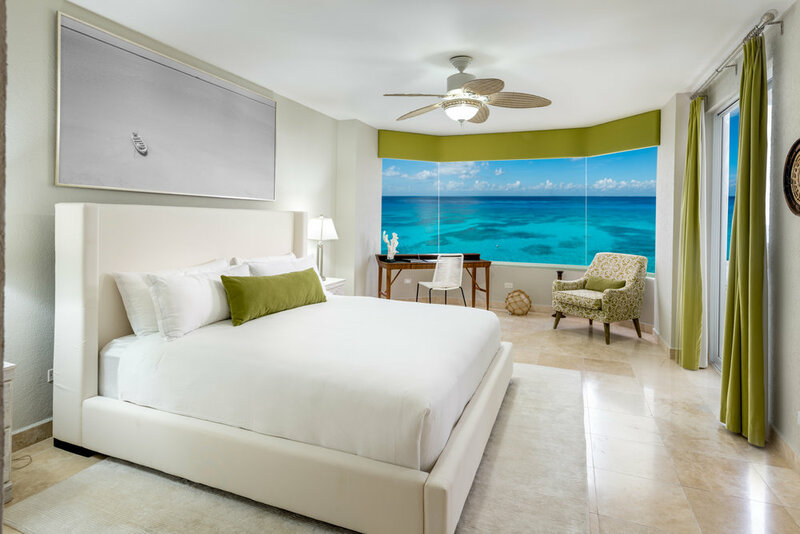 Condo Blossom is just one flight up, which means that you can take the elevator or go down the stairs to the beautiful crystal clear water of the Caribbean or the large, heated infinity pool. 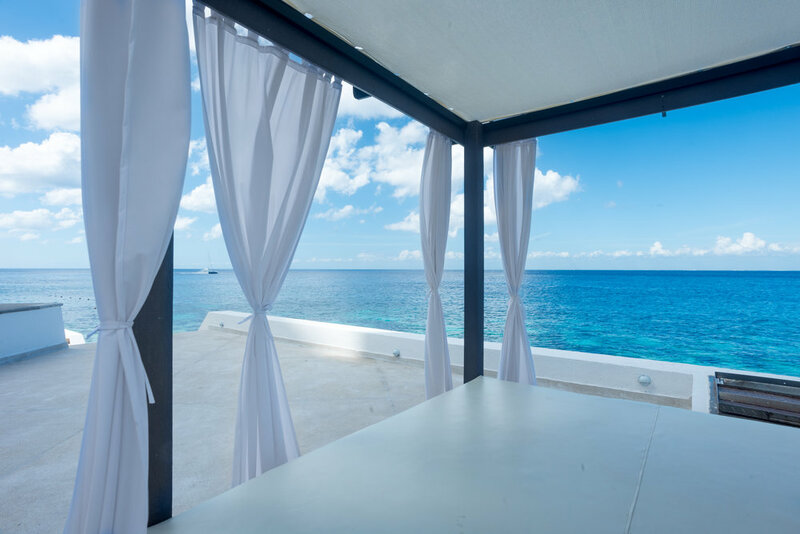 The view from the balcony is unobstructed - just the brilliant blue water of the Caribbean. Coffee and breakfast in the morning on the lounge chairs in the balcony is a genuine treat. You can watch the cruise ships arrive in the mornings and leave late afternoons while you watch the sunset. 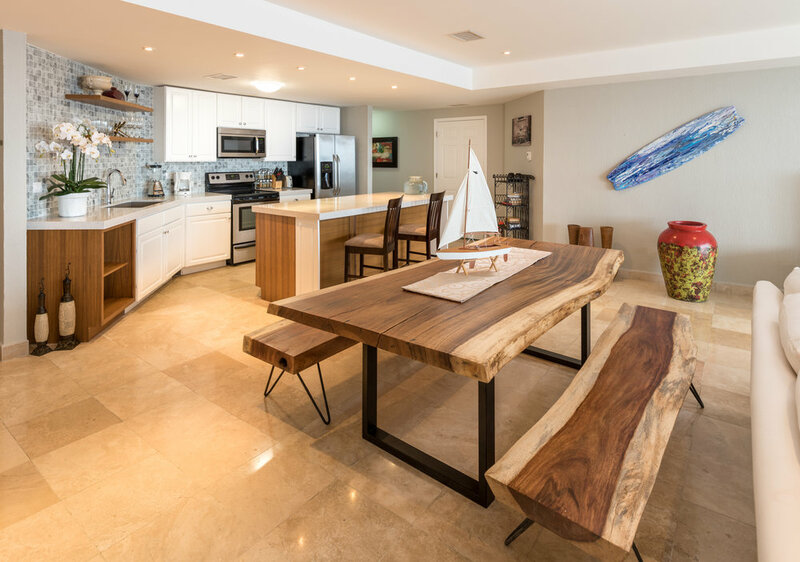 The Condo is furnished beautifully throughout, with a full-service open kitchen. It is centrally air-conditioned. The common area has an infinity pool overlooking the ocean that will leave you breathless. 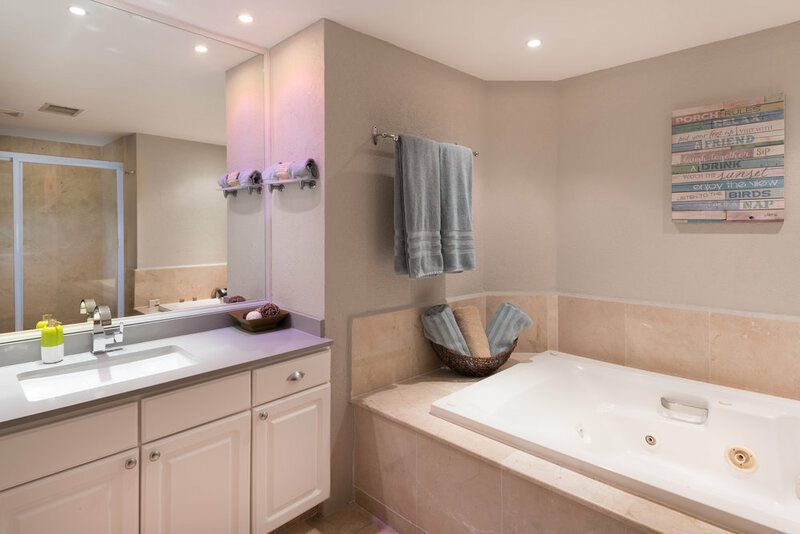 There is also an outdoor shower, perfect for rinsing off diving and snorkeling gear, as well as a ladder that will take you down to the ocean easily to snorkel or swim. Another thing that makes Condo Blossom special is the new pedestrian/bike pathway that leads into town along the North end of Cozumel, where you can jog, ride a bike, or just take a pleasant walk along the ocean. The living room has a huge eight seat wrap-around couch. As you face West, towards the sea, all you can see is sea. There is no wall! The entire West-facing side is all glass. You cannot get more sea-view than that! This is a very quiet building. 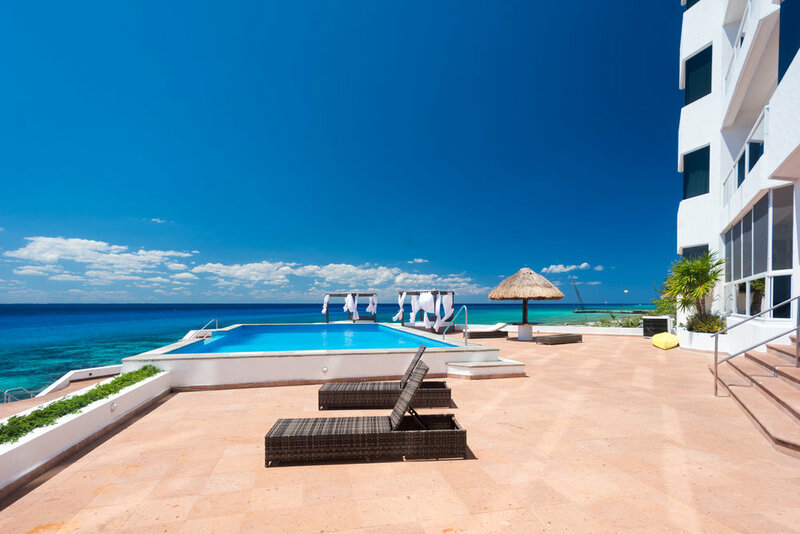 There are only three or four condos for rent; the rest of the condos are occupied by owners, many of who do not even live in Cozumel. This means the beach and pool areas are very quiet. Local residents do not have access to these areas. The master bedroom has a spectacular view - windows that spread from one side of the room to the other, facing the sea. There is also a private access to the terrace, so you do not have to walk back into the living room. There is free high speed internet connection. but please bring your own laptop. Also local line, safe, use of washer and drier and, of course, cable TV. Daily maid service is included. 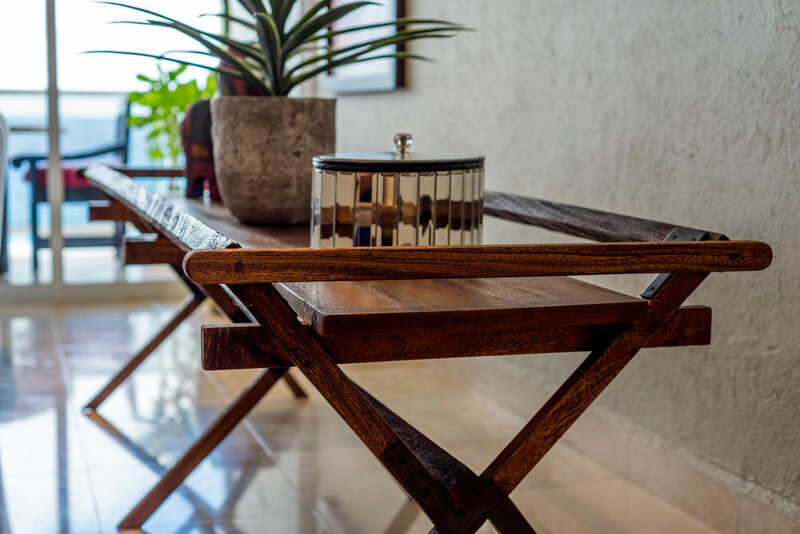 A fabulous luxury unit that will make your stay in paradise delightfully comfortable.